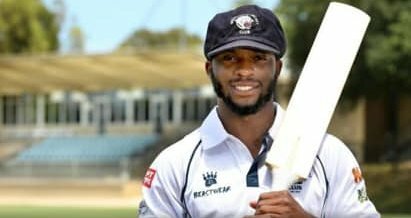 Kamau Leverock led a Adelaide Turf Cricket Association Select to a 147 run victory over a Apel Suburban Select team in the Seniors Cup. Batting first the Adelaide Turf Cricket Association Select team would score 294/9, with Leverock scoring 119 runs, hitting 10 sixes and 8 fours. Opener Martin Perilli added 51, while Frank Saunders was the pick of the Apel Suburban bowlers with figures of 8-0-54-3. In reply Apel Suburban were bowled out for 147, Ben Johansen was their top scorer with a knock of 26, Thomas Rolling would lead the Adelaide Turf Cricket Association select team in the bowling department with figures of 5.0-1-21-3, while Leverock had figures of 5-0-20-0.